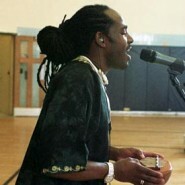 Experience the music and rhythms of our world community. Students travel to cultures from ancient history to today through songs, instruments, legends, and history. 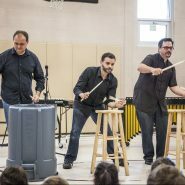 Through active participation, this program encourages students to find their unique musical skills while enhancing their individual creativity. 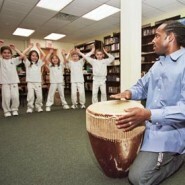 Rhythms, songs, and instrument play build confidence in their own expressions through rhythm and song while developing an appreciation for their uniquely diverse school community! When booking this program, schools may choose regions of the world that should be highlighted. 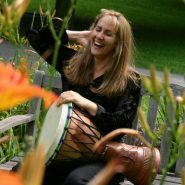 Experiential learning is a core goal for each of Mary’s performances, residencies, and workshops. 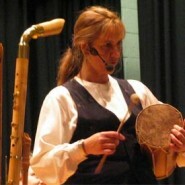 Mary engages students on a musical world tour through singing, body percussion, and cultural instruments. 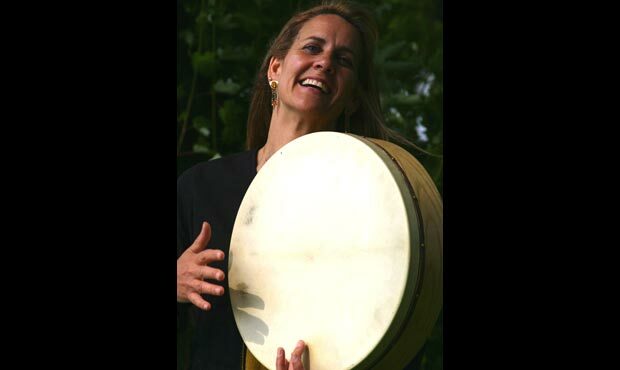 Through the introduction of a variety of unique world instruments Mary explores the essential question of how people all over the world use music as a form of self-expression, connection, and communication. One of the other primary goals of Mary’s performances is to help students understand how music is directly connected to the daily lives of those who are creating it and to encourage and empower each student to discover the natural and gifted musician that lives within each of them! She is possibly the best we ever had here at Forum. It was great to have her on the 28th for workshops and the 29th for interactive performance. 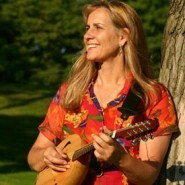 She is a truly amazing person, musician, and educator. Mary Knysh outshined all of my expectations. Faculty mentioned it was the best assembly they had seen at this school, and the kids were involved and engaged the whole time. Mary is great, talented and generous with her talents. The students loved this interactive and informative show. 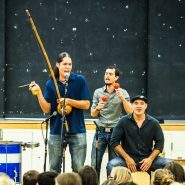 Students enjoyed the music as well as the stories and the information that the artist presented to them. The artist also appropriately adjusted her performance between the younger and older grades. (two assemblies). Our performance was excellent!!!! Our school community enjoyed Mary's performance very much! She was well prepared and very entertaining! Mary was amazing! Captivated and engaged the entire audience in her performance!